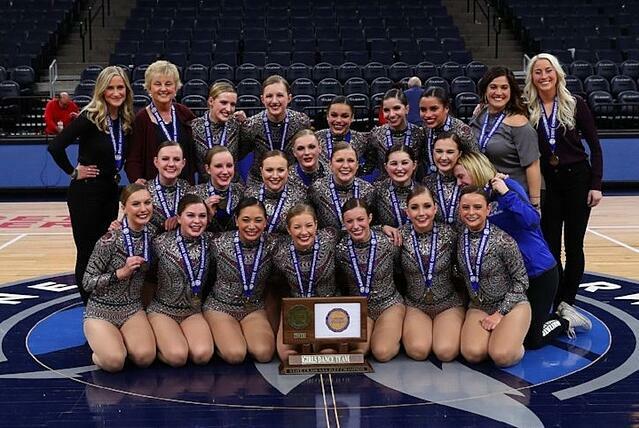 Wayzata Dance Team topped off an amazing season with a FIRST place win in AAA Jazz at the Minnesota State Dance Tournament this February! 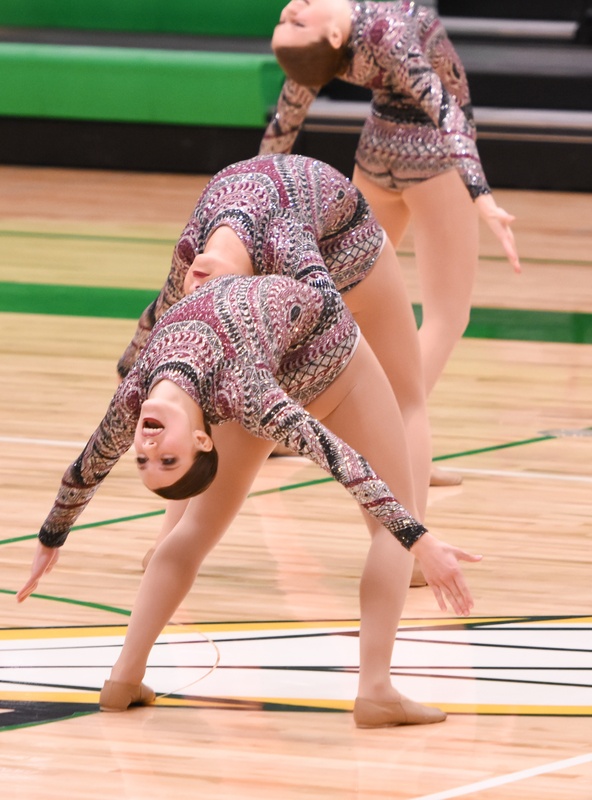 We asked coach Alyse about the inspiration behind their custom jazz costume this year. "We knew we wanted a leotard that was sleek, sparkly, and unique," Alyse said. When the team saw the Champagne Leotard, they knew it was the perfect fit! To keep the style looking one-of-a-kind for their team, the team made a few key modifications. "After talking about colors and different options, we decided to customize the leotard’s colors in order to really get the look and feel we wanted," Alyse said. 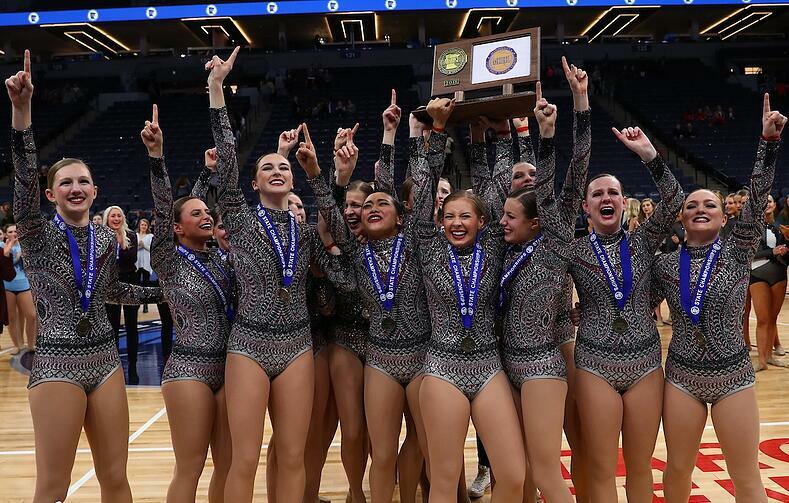 "Adding the wine color to the black and silver really made the leotard something unique that no one had seen on high school Dance Team before. We were so happy with how it turned out!" In addition to the color changes, the team modified the back closure from a key hole opening to a zipper to keep the dance costume MN Rule Compliant - an easy fix to change a keyhole to a zipper closure. It was quite the season for the team - not only were they preparing for competition last January, but they also had the amazing opportunity to be in the Super Bowl Halftime Show! Super Bowl 51, hosted at US Bank Stadium in Minneapolis, MN, invited hundreds of local Minnesota dance teams to perform at this year's half time show alongside Justin Timberlake! "It was an unbelievable experience that could never be replaced," coach Alyse said. Catch the full half time performance below and more Q&A with Alyse below! Our jazz routine was to Game of Survival by Ruelle. My favorite memory from the year is after our team competed at our Wayzata Invitational. 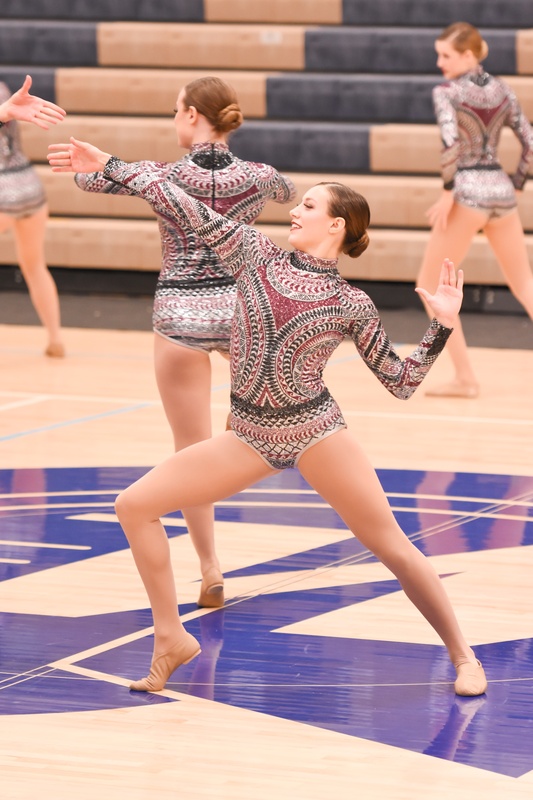 It was the first time the team felt really like one and really performed our jazz routine as their highest level and really pushed themselves in the performance. A very very close second was seeing the beaming smiles, tears, and happiness after we were announced as State Champions. It is a moment I will never forget for a group of girls that made this season one to remember! Our team dealt with a lot of sickness and injury this season that they had to overcome every time we competed. We also had the amazing opportunity to be in the Super Bowl Halftime Show! That was an unbelievable experience that could never be replaced. We practiced and got ready for Super Bowl as we were preparing for Sections, which was a challenge to work around the long Super Bowl practices while making sure our routines were really ready for great Sections performances.